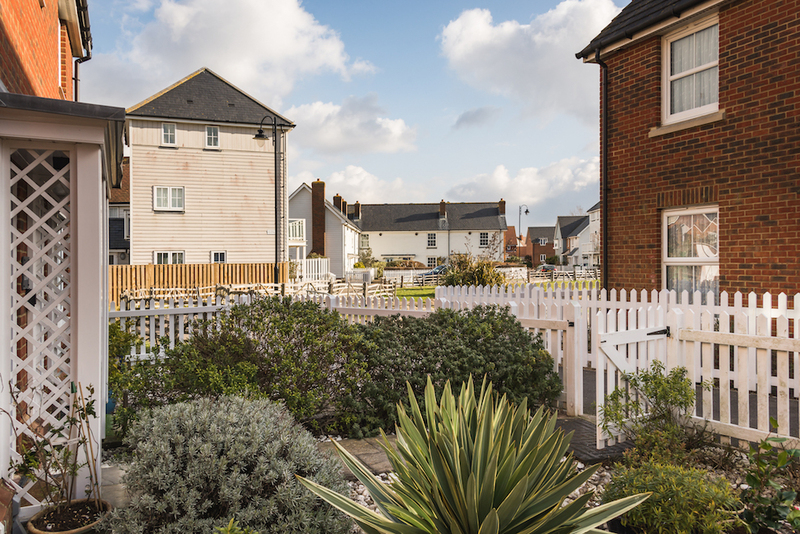 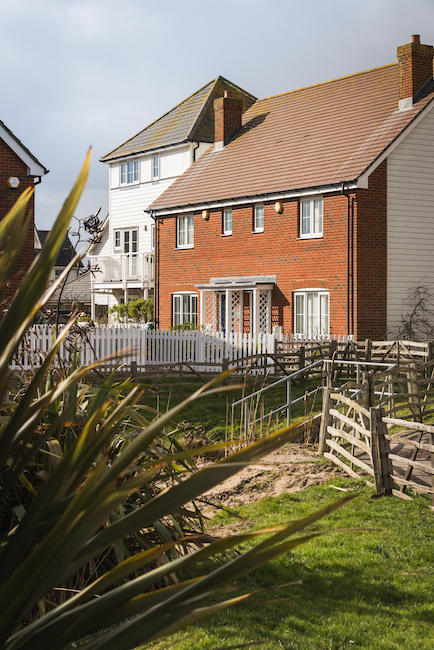 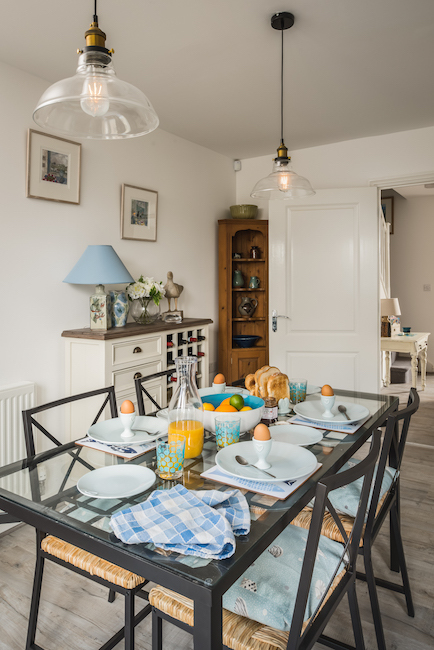 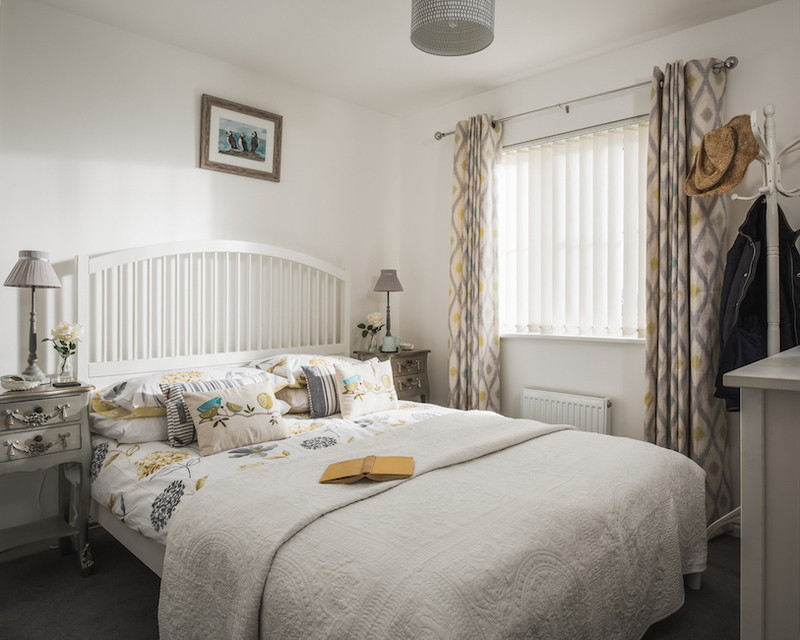 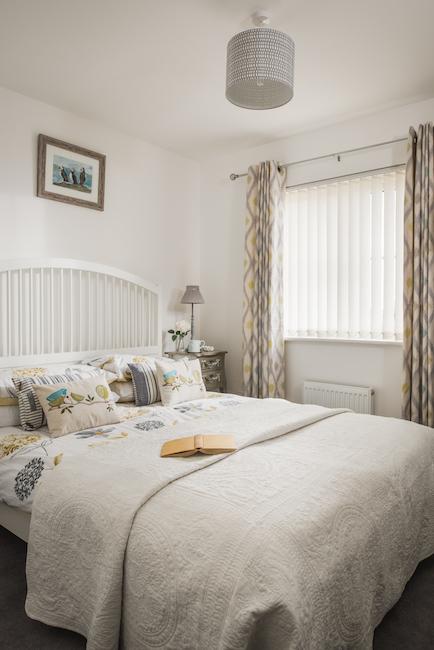 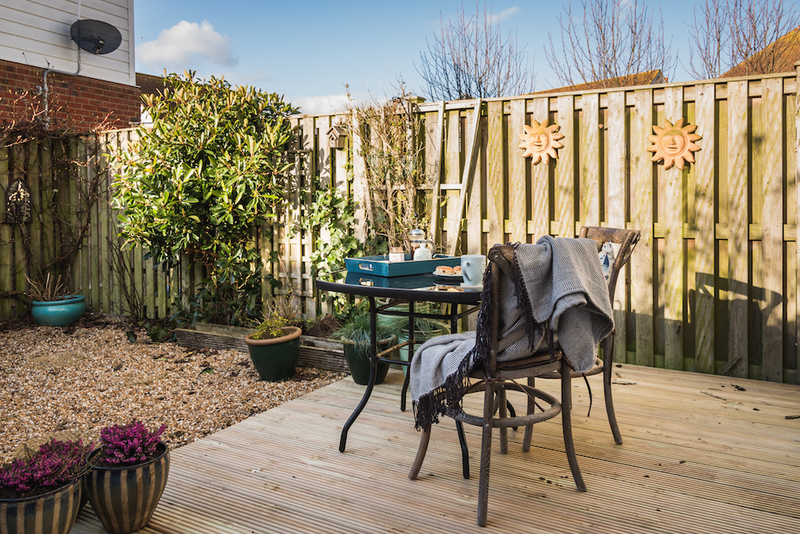 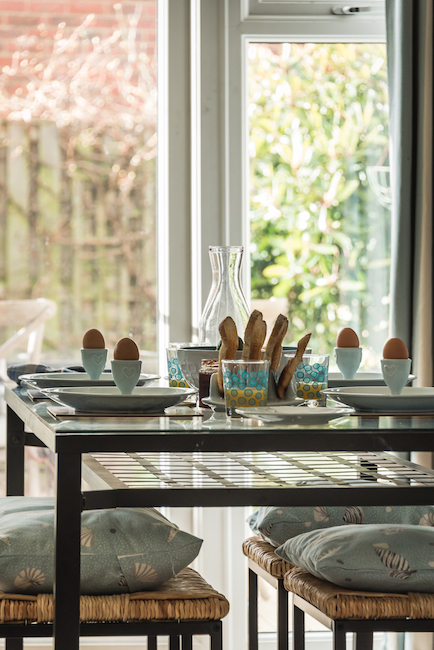 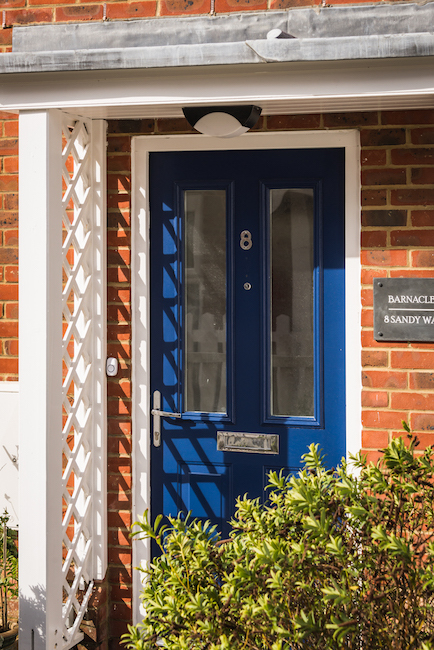 Barnacles is a cute 3 bedroom self-catering house nestled between the Romney Marsh and the stunning Camber Sands beach on the award-winning Whitesand Development. 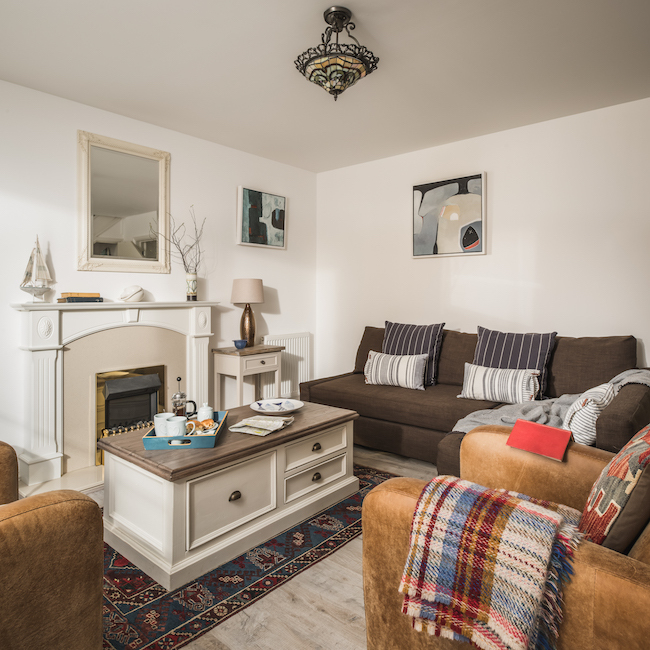 Modern yet traditional this cottages eclectic decor will charm you, this is the perfect getaway retreat for (including you furry, four-legged friends) families wanting to visit the beach and explore the area. 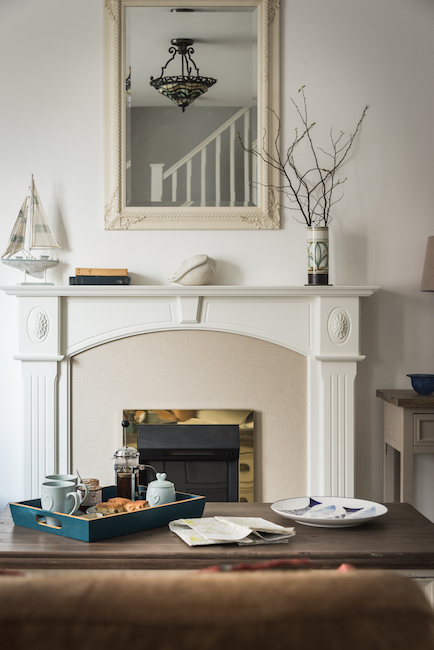 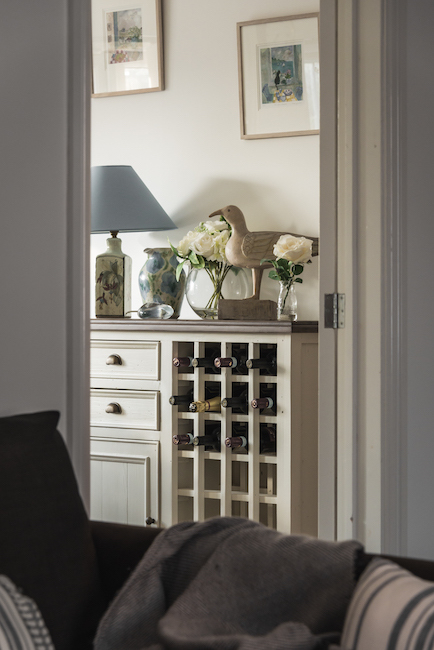 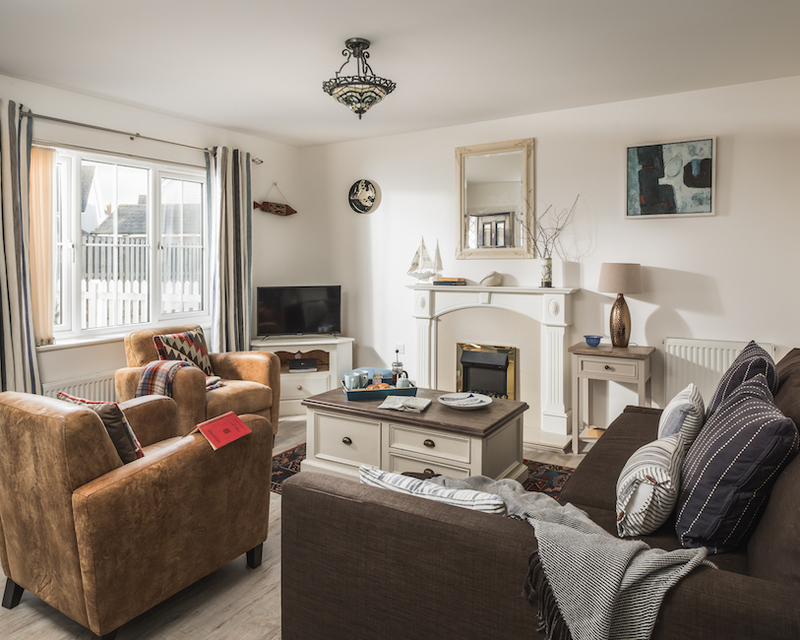 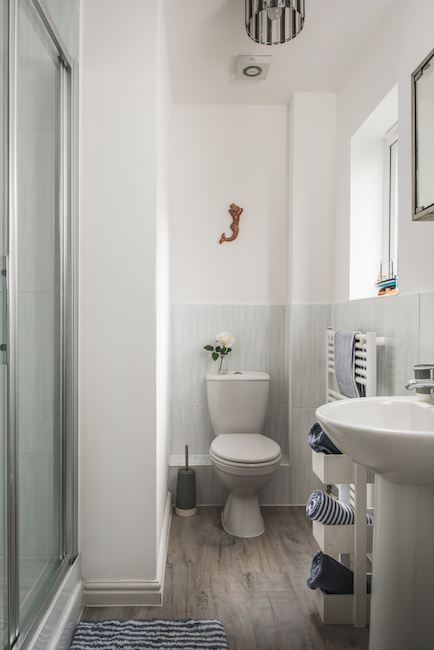 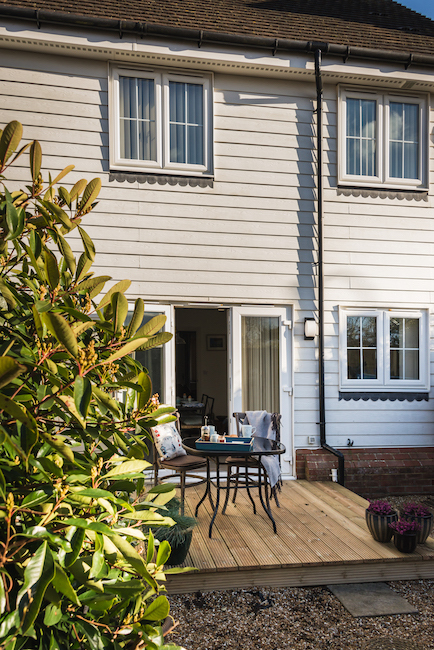 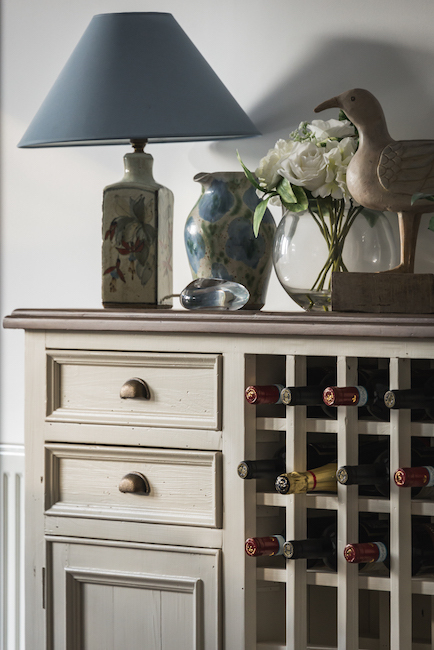 When you step into this cottage, you’ll feel relaxed in its home-from-home style, a cosy and comfortable lounge is the perfect place to relax whilst watching your favourite programmes on the flat screen TV, or relaxing with a book after a day exploring. 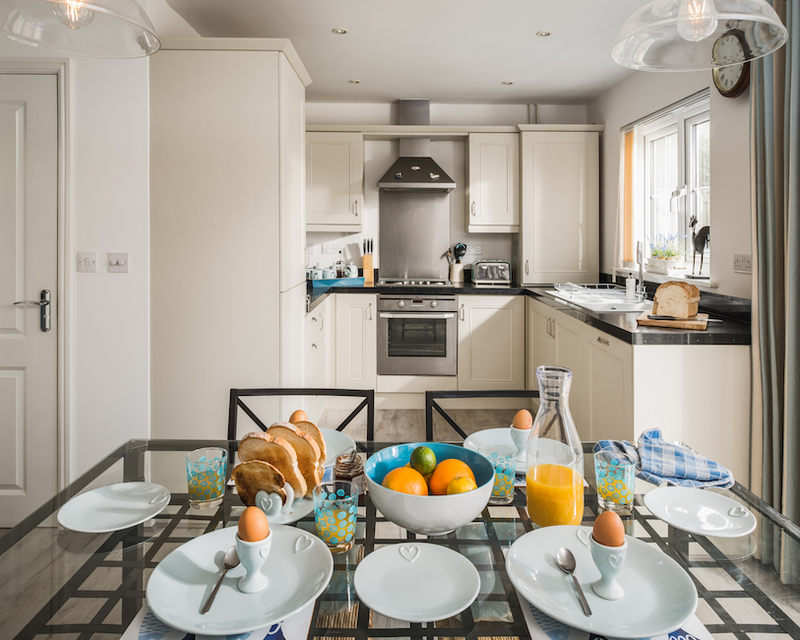 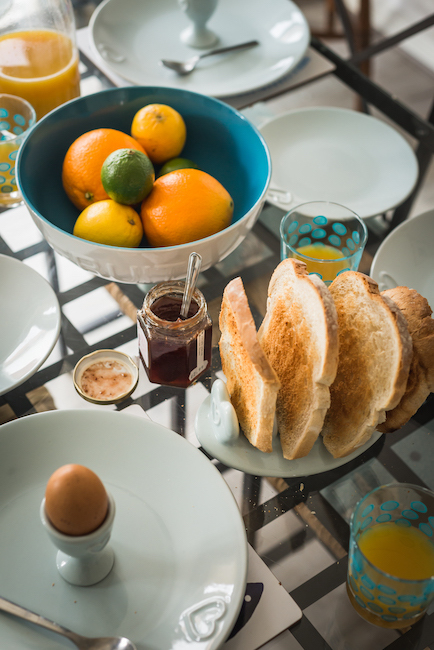 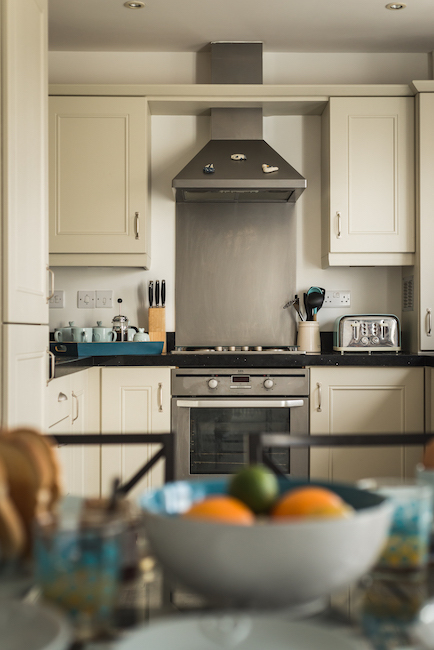 Through to the spacious and new refurbished Kichen/dining room you’ve everything you need to prepare delicious meals to enjoy during your stay, the well equipped kitchen has an electric oven and hob, fridge/freezer, toaster, kettle, microwave, washing machine and dishwasher. 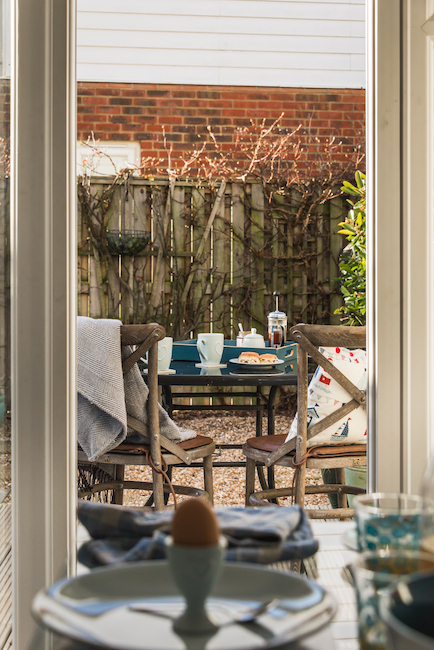 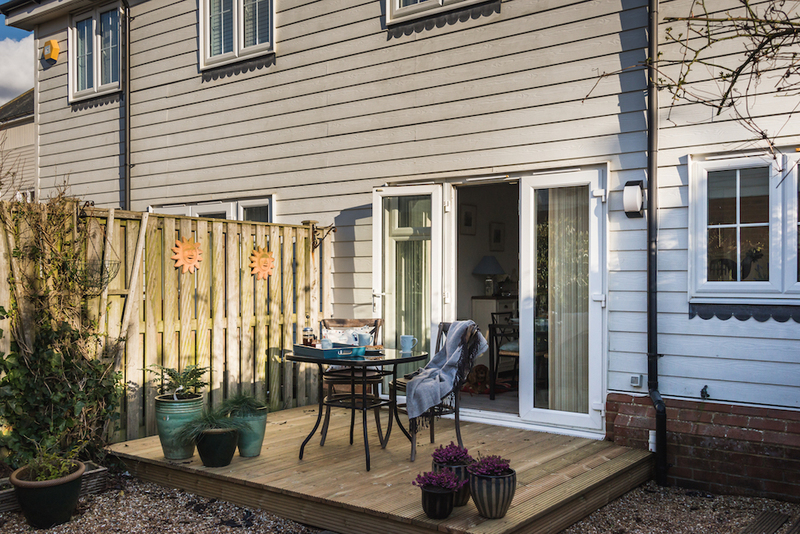 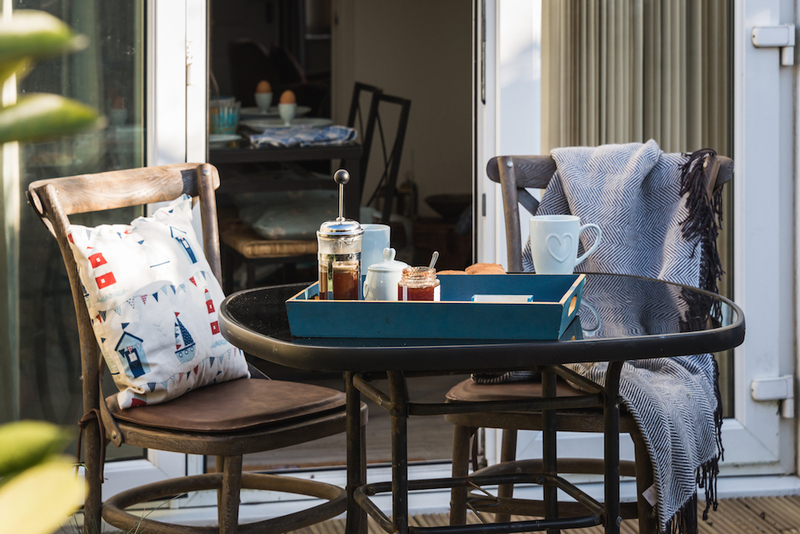 French doors into the garden means dining al fresco is easy, creating an extra room in this lovely cottage when the weather is fine. 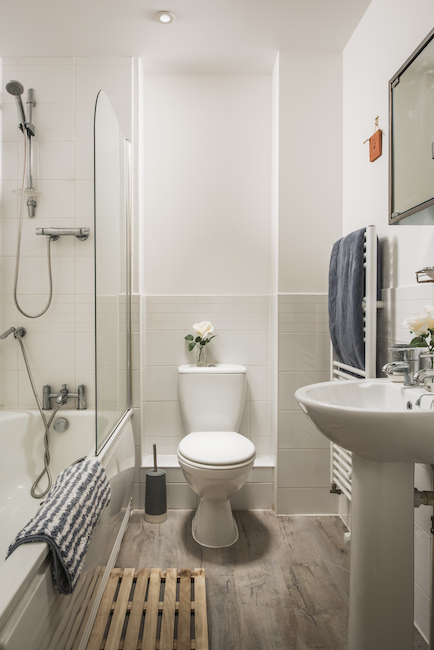 There is also a large downstairs WC with basin too. 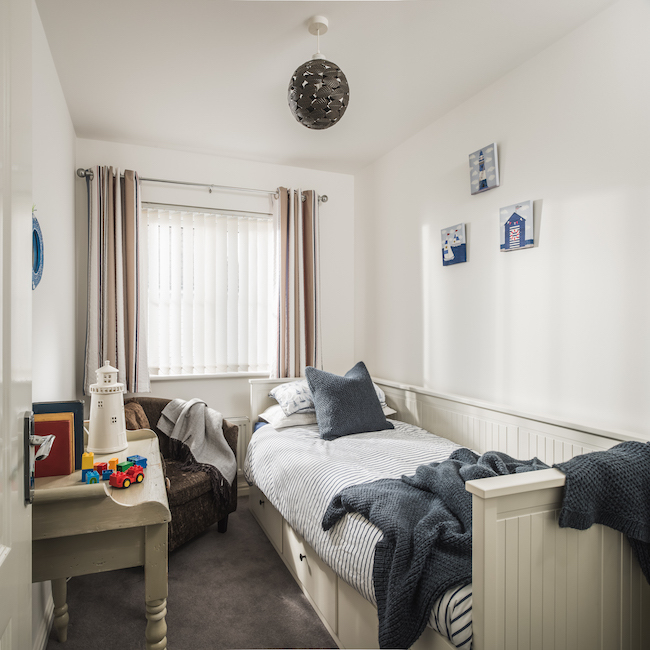 Comfortable and cosy, the perfect place to lay your he’d after a busy day of fun. 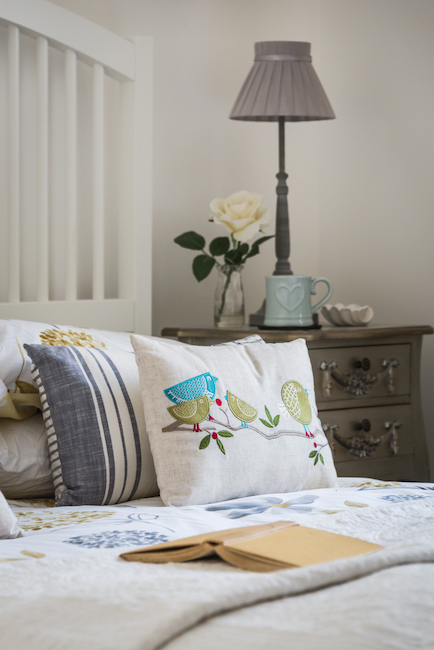 Single bed, great for a children’s room and storage unit. 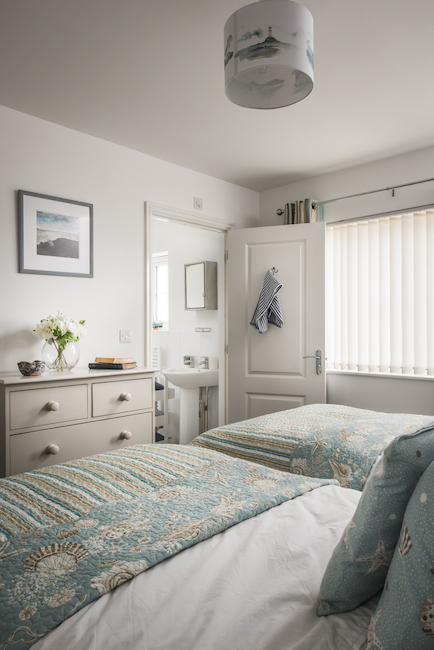 All bed linen (apart from cot linen) and bath towels are provided as well as hairdryers! 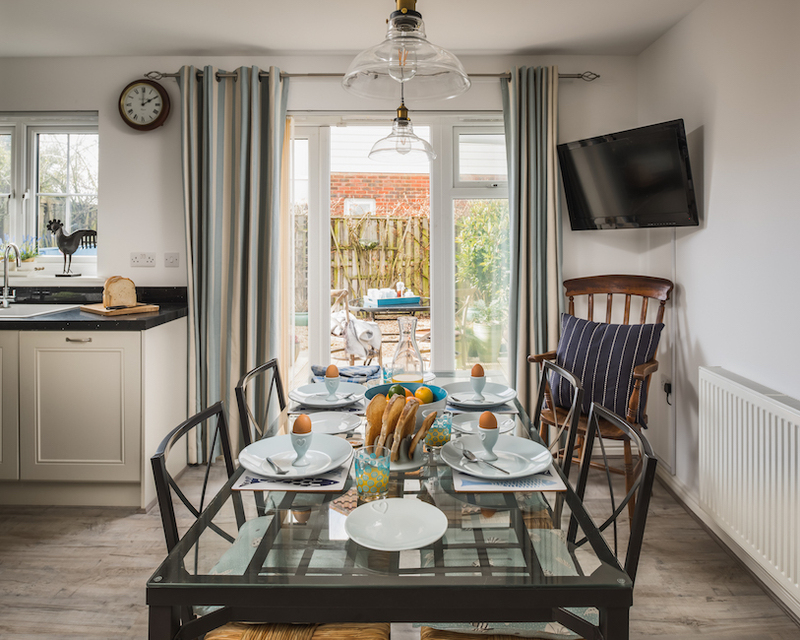 The Kitchen/dining area includes a garden room with french doors that lead out onto a decked seating area with table and chairs area, the rest of the space is pebbled, the garden is fully enclosed, the perfect place to enjoy a few rays of sunshine and a glass or two of wine. 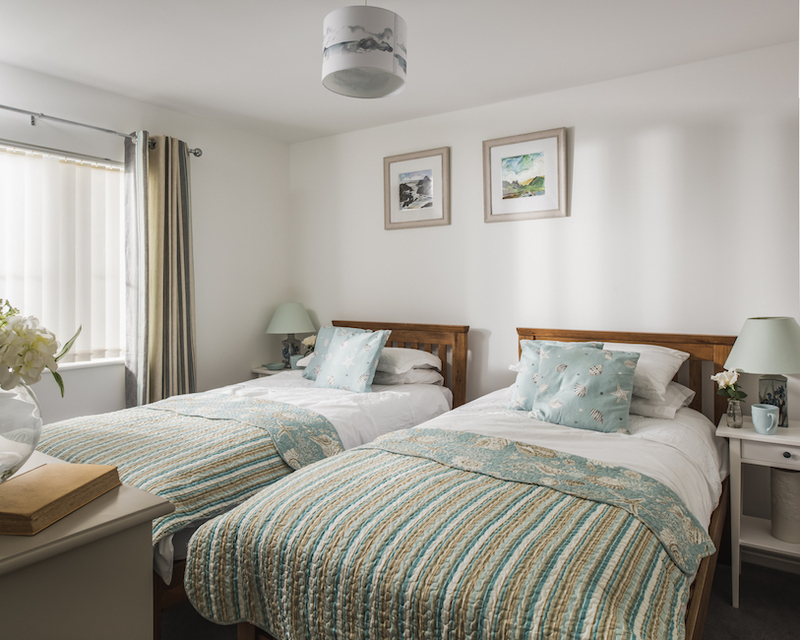 For families staying at Barnacles we are pleased to advise that there is a highchair, travel cot and stair gate provided. 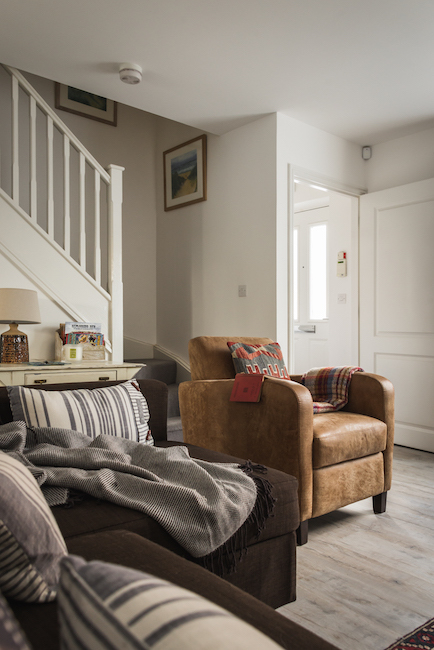 Pets are also welcome but we ask that they are kept downstairs – using the stair gate available to put at the bottom of the stairs if required.